Don’t forget – there will be an amazing gourmet long table lunch this Sunday at the Market, to celebrate the launch of the new Cook Book. 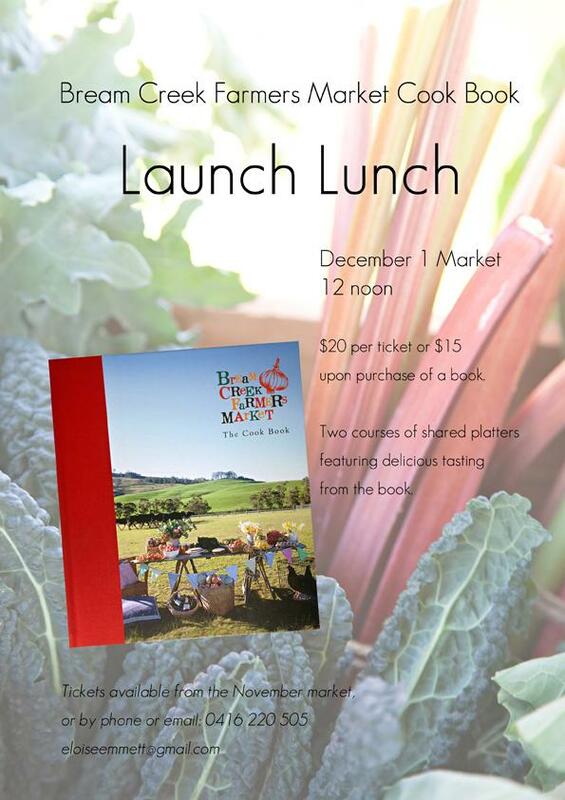 Stallholders are contributing amazing dishes featuring recipes from the book and tickets are selling quickly. There will be long tables set up amongst the activity of the market, buskers playing their tunes, delicious beverages for sale from Cape Bernier Vineyard, Lost Pippin, Gillespies Ginger Beer, Bream Creek Vineyard and McHenry and Sons – and tickets are just $20 per person, or $15 upon purchase of a cook book. What amazing value. « Long Table Lunch – celebrate the lauch of the Cook Book on Dec 1!